This is the week I live for. This is what this comes down to. The week before a race when I begin to taper off the number of miles and I add more carbs into my diet. First, if you dial back to November, you can read about my love affair with Chipotle. What changes with my Chipotle order this week is I add the limey, delicious cilantro rice to my salad – mmmmmmmm. How can you resist the deliciousness of Chipotle? Then it is all about sugar. A couple of new products first, then a couple of classics. 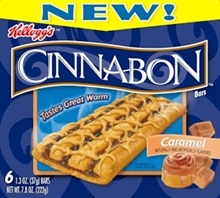 Have you seen these Cinnabon bars from Kellogg’s? I was running through Cub Foods last Sunday night late to get laundry detergent, and these little suckers were oh-so-strategically placed on the aisle. Pop on in the microwave for 15 seconds – delish! Cinnabon-y goodness in a convenient, individually wrapped bar! When Blue Bunny started cranking out Birthday Cake flavored ice cream about 2 years ago, I was so thankful. The Cold Stone Creamery near my house recently closed and seriously, what could be better than cake flavored ice cream other than cake itself? We're gonna party like it's your birthday. Now on to the classics, layering in some chocolate. Little Debbie Swiss Cake Rolls have been around forever. They are cheap, probably loaded with saturated fat, and full of white, sugary cream. I think I can eat a pair of these babies in less than 30 seconds. They satisfy! Hey Little Debbie, you have never lost your charm, girl! And finally – the Oreo. No post of mine about packaged food products with sugar would be complete without a mention. Oreos are childhood in a box to me. They were my grandpa’s favorite, I remember exactly which drawer and the Tupperware container my grandma would put them into. I love them in the morning. I love them at night. I love them with milk. I will even eat these bad boys with a Diet Coke at times. 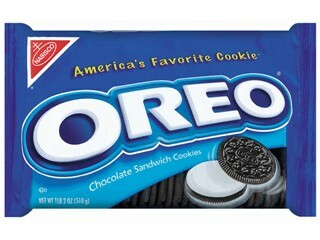 I cannot imagine my life without Oreos: regular, double stuff, mint, golden, golden with chocolate frosting, you name it! This is one of the only weeks of the year that I eat this stuff with no guilt. These items will not make up entire meals for me, but believe me, they will sneak their way in. Running for cake people, running for cake. Back in June, I made the decision to stop drinking any soda or consuming caffeine. Mostly, for me, this meant giving up Diet Coke. I had looked at some of the research, heard what benefits others had experienced, and decided – yeah, sure – that sounds good to me. I will detox my body and be a new person. Yippee! I drank my last can of Diet Coke on Sunday, June 22, 2008. Not that anyone is counting. So here I am, about seven months and eleven days later, wondering how I can go on another day without a Diet Coke. And I am not a new person. Same old me. It was actually not difficult for me to stop drinking Diet Coke. I just drank that last can and stopped. I think it was all about proving to myself that I could do it. So I did, and now I want to drink one. OK, I have wanted to drink one A LOT. What is better than a sparkly Diet Coke with a piece of pizza? How about a giant fountain Diet Coke with a straw – oh yeah – drink it down. Or that occasional morning Diet Coke with an omlette. Yummy! But now I have built it up to a point where I feel guilty or think it is some sign of weakness that I am going to go back to it. Oh, did I say that out loud? Seriously, I am over it. Why torture myself? Off to the store, need to get myself a case.